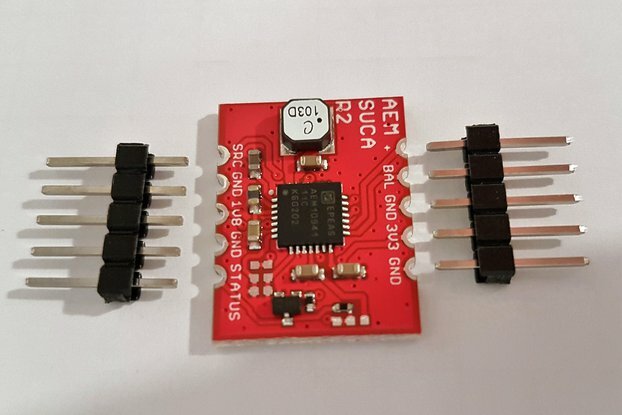 Meerkat Supercapacitor Charger is compact and versatile, designed to support common 2.5V and 2.7V EDLC supercapacitors. 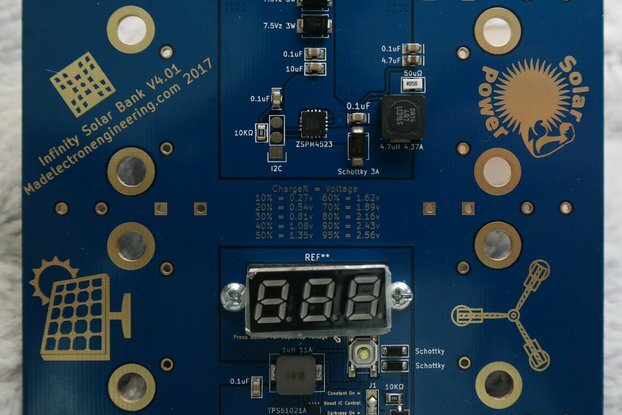 Wide input voltage ranges from 4.5 V to 16 V and adjustable Maximum Power Point provides the capability to use various power supplies, including solar panels. The charging current and end-of-charge voltage can be easily adjusted with a jumper. The charger is designed to charge supercapacitors with a capacitance of more than 10F, with no limit on the maximum capacitance. The end-of-charge voltage can be selected to be 2.45V or 2.65V. It uses Constant-Current/Constant-Voltage (CC/CV) charging profile, which allows to fully charge the supercapacitor despite the added resistance of the wiring. When the load connected to the supercapacitor is consuming less power than it is provided by the charger, the CC/CV charging profile will keep the supercapacitor voltage constant. 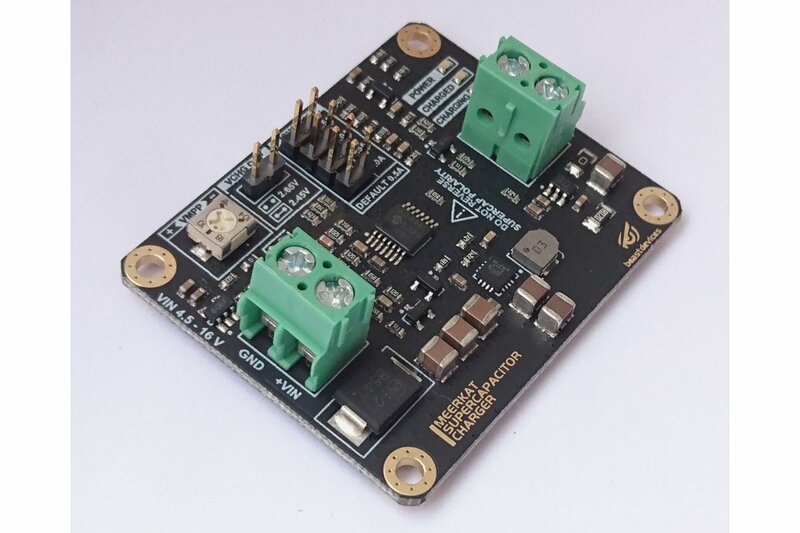 The charger will reduce the charging current if the input voltage reaches the Maximum Power Point (MPP) voltage, which is adjustable with a potentiometer or fixed resistors. It allows to use power supplies with variable or limited power output, for example, solar panels. Three LEDs are featured. The first one indicates that the charger is connected to the power supply. The other two indicate the status of the charger, either charging or charged. The status changes to charged as soon as the supercapacitor reaches the end-of-charge voltage and the charger enters the Constant Voltage (CV) mode.